Looking for a unique wedding or shower gift? 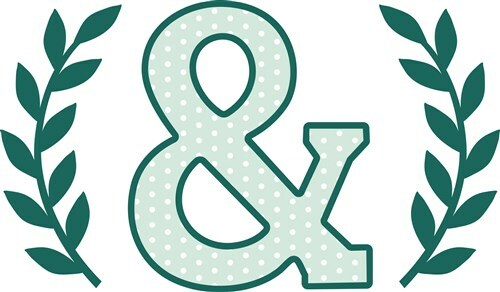 Then this ampersand and laurel design is perfect, add it to towels or a decorative pillow for the happy couple! Ampersand Applique print ready artwork by Hopscotch which is available in Graphic Art and ready for your heat press or direct to garment printer. To see more print ready heat press artwork please visit our Print Art section and search our entire collection of print ready artwork. By licensing this graphic art you agree to these terms: This graphic art is copyright protected by Hopscotch and may not be distributed, altered or unaltered in any format outside of EmbroideryDesigns.com or directly from Hopscotch. Items with this graphic art sewn onto the product may be sold commercially with limitation. You must have written consent to mass market items using this graphic art. Hopscotch will not be held liable for any monetary losses or consequential damages as a result of using this graphic art.Due to global piracy policies, no refunds are available for electronic data files of designs unless proven to be defective and cannot be corrected.